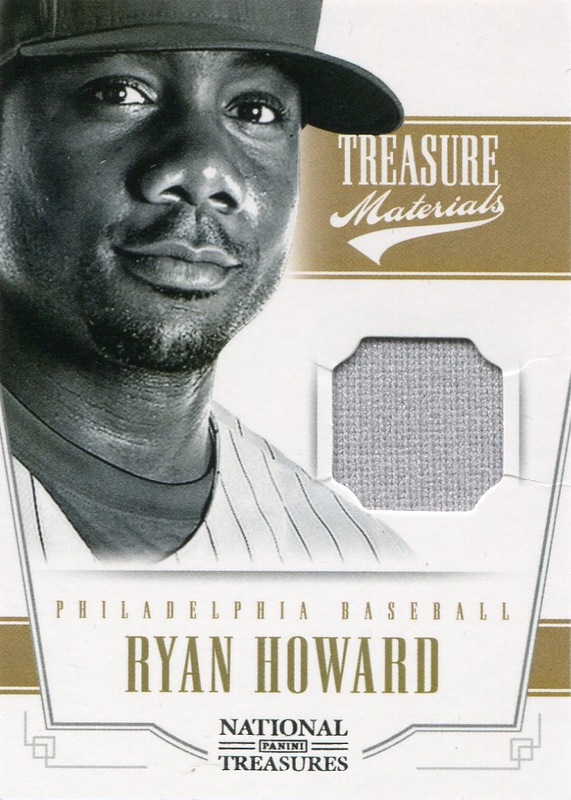 Now that I’ve decided to start paying better attention to Panini’s offerings and ignore the lack of MLB logos or team monikers, I’ve fallen in love with their 2012 National Treasures set. I plan on making a much more detailed post about the set sometime in the next couple weeks…. It’s been a while since I did a team checklist post. I am currently rethinking how I handle those as formatting the checklist to display properly using this particular WordPress blog template is incredibly time consuming, and I would really like to reduce the amount of time I spend on such minutiae. I will be restarting them soon, in a slightly altered format…. The newest version of the Phillies Database file is now online, contains over 32,500 items (0ver 5,000 more than the previous version), and is complete through 1994. I really am doing this as much for myself as I am to make the information available to other Phillies collectors — I’m continuing to find unexpected gaps in my collection as I compare my old Excel spreadsheets against the information in SCD, Beckett, TeamSets4U.com (and a few other online resources), and my own collection — yes, I am taking the time to make sure that my old checklists were in fact correctly stating what is in my collection. The most recent surprising find: there was a second series to 1993 Pacific that I completely missed back in the summer of ’93. Until I found that discrepancy, I honestly thought that I had a complete team set…. Another key reason (aside from finding discrepancies) that I am engaging in the database project for my own means: it allows me to more easily sort and extract information about my collection to my liking. For example, I don’t actually know how many autograph cards I own — I can figure out it, but that takes some time with all my checklists spread out over multiple files. Once I have this database complete, I can quickly come up with all sorts of interesting statistics on my collection. It’s still a while away, but I’m really looking forward to the day when all my collection is in just one easily sortable and manipulated file…. 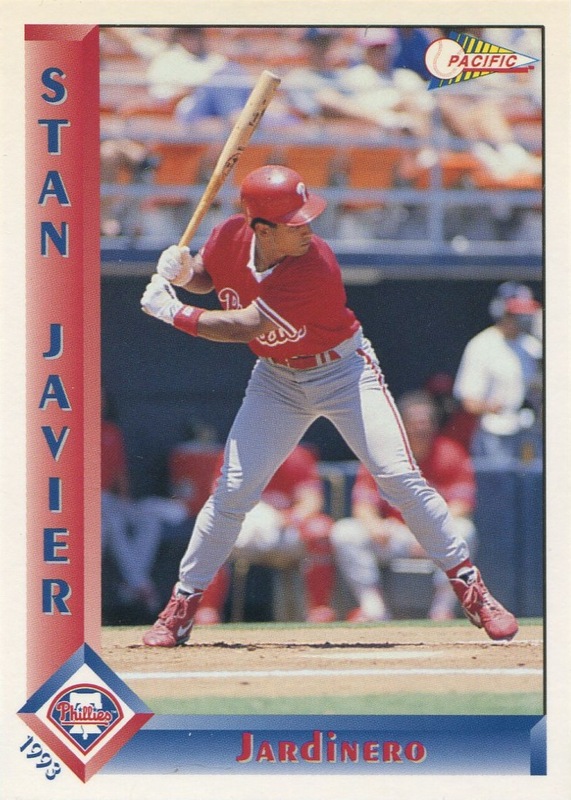 Now that I have decided to actively add MLBPA-only licensed cards to my collection, I have started adding them to the database as well. These additions will likely take much more work, however, as Beckett doesn’t always, for completely understandable reasons, list team sets on their site. 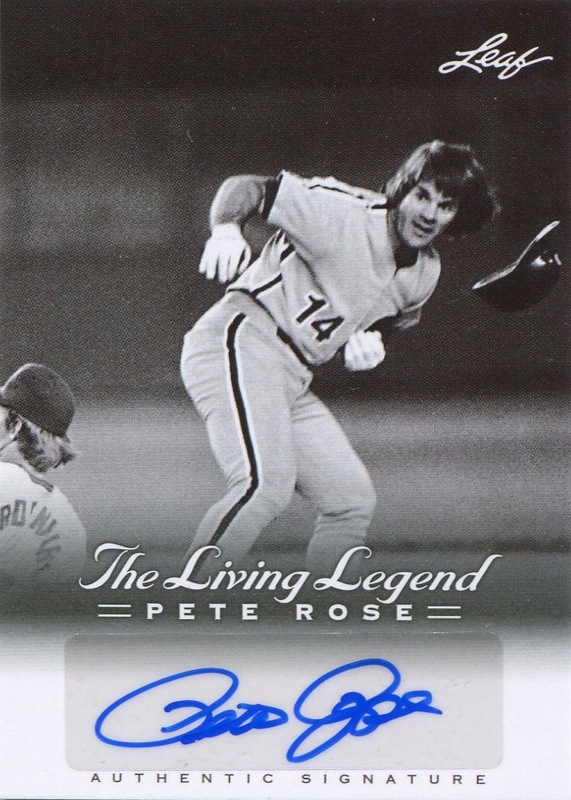 (Just as a quick aside, this means that a lot of Pete Rose cards are suddenly getting listed in the database, thanks to the Pete Rose sets issued by Leaf last year and this year.) I have also made a couple other changes to the structure of the database, and I plan on making a rather lengthy post later this week describing the methodology and decision-making that goes into the file…. I have decided, for now, to keep the W502 Clarence Mitchell card. I’ve chosen to view it in the same way I view, for example, the 2003 Donruss Classics Jim Thome card, which pictures him in an Indians uniform but denotes him as a Phillie. My rationale is that if the W502 sets had team designations, then Mitchell’s card certainly would’ve stated he was with the Philllies. It’s a flimsy rationalization, but it allows me to finally add one of his cards to my collection…. I also hope to have list a want list and trade bait section to the site fairly soon (the database makes it much easier for me to assemble a proper want list). This is actually, in the scheme of things I want to accomplish, rather low priority, so it may be another couple months before it appears online. However, I have some decent trade bait, and I’d like to see if it can get me some items I really need for the collection.